"Because we know the facts and the law better than anyone else in the Courtroom!" "I may not be famous, nor may I ever be, but for that one moment in time, for that one client, I will try to make history!" 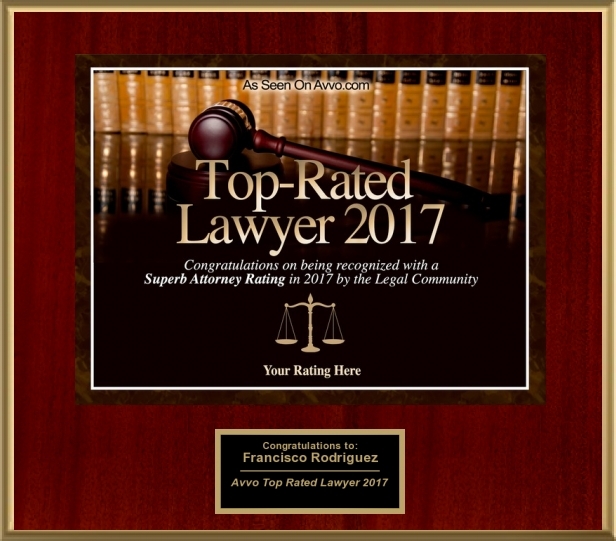 Consistently one of the top rated lawyers. PUT 20 YEARS OF EXPERIENCE ON YOUR SIDE! Welcome to the official website for the Law Offices of Katsuranis & Rodriguez, Attorneys at Law. We are the leading legal firm providing representation in criminal cases, including DUI allegations, thefts, battery, assaults, domestic violence and all other criminal allegations against citizens. We also provide assistance with traffic violations such as reckless driving allegations, suspended license, DUI, speeding tickets, red light camera tickets, stop sign tickets, commercial driver violations and all other traffic violations that are alleged against motorists. Furthermore, we provide assistance with issues relating to the Department of Motor Vehicle suspensions such as: DUI suspensions, elder suspensions, medical suspension, fatality suspensions. We assist citizens with civil cases such as: Civil restraining orders, defense and prosecution of them, car accidents with injury, dog bites. Our office also specializes in the handling of administrative license hearings, security guard licenses, contractor license, taxi permits, school expulsions hearings, appeals and all administrative actions against professional licenses. Lastly, we assist those who are currently in deportation proceedings with the U.S. immigration courts. We provide aggressive, ethical and effective legal representation in all of the aforementioned matters. OAKLAND DUI ATTORNEY IN OAKLAND (MAIN OFFICE), SAN FRANCISCO & MARIN COUNTIES. CONSULTATIONS ARE BY APPOINTMENT ONLY! CALL (415) 378-4133 TO SCHEDULE YOUR CONSULTATION TODAY!